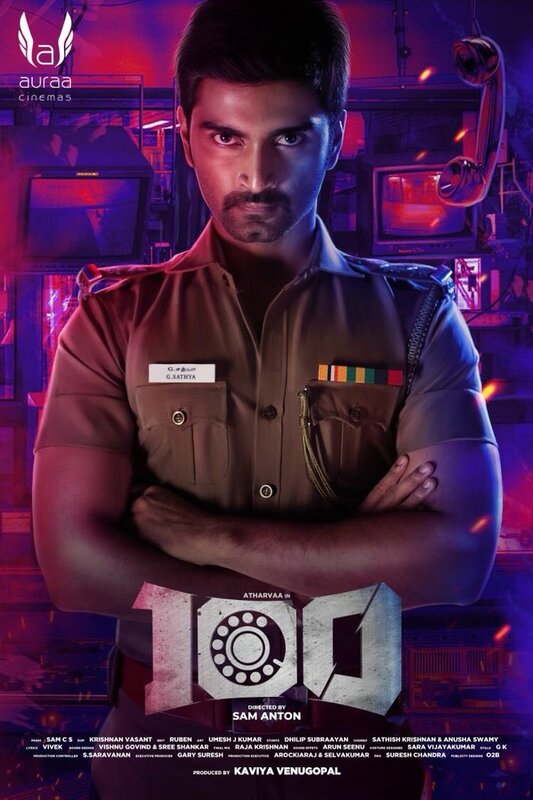 100 is an upcoming cop entertainer directed by Sam Anton of Darling and Enakku Innoru Peru Irukku fame. Starring Atharvaa and Hansika in lead roles. Produced by Auraa Cinemas Mahesh Govindaraj. Atharvaa play a Police officer role for the first time in this movie. Full shoot was wrapped up last week. And the team is currently busy with dubbing work. With this high speed progress in post-production work, we can expect the movie to release soon. >> Rajini to call it quits? >>Boomerang - Vaan Thodave Tamil Lyric Video Is Out!